Do your palms get sweaty and does your heart start to race at just the thought of visiting the dentist? If so, you are not alone. In fact, it is estimated that as many as 40 million people have dental fears and phobias that are similar to yours. As a result, roughly 15% of Americans delay dental care because they are not comfortable with the experience. Now, you can conquer your fears to make your dental health a priority with your sedation dentist in San Marcos. Dr. J. Robert Donnelly offers sedation dentistry to help patients who have unique needs when it comes to their dental care. Dental fears can be caused by several factors, such as a bad experience in the past, fear of pain, and even embarrassment. In some cases, you may even have anxiety about the sights, smells, and sounds of the dental office itself. Not matter the cause behind your discomfort, oral sedation will help you relax. Sedation dentistry is not just for those who have fears and anxieties. It can also be used for those who have unique situations, such as a strong gag reflex, discomfort from a TMJ disorder, or difficulty laying in one position for too long. Often, Dr. Donnelly will recommend sedation if you need to undergo a lengthy or invasive treatment. As a dentist in San Marcos specializing in sedation, Dr. Donnelly can help you relax, even before you come into the office for your appointment. He will prescribe an oral medication, which you will take at home about an hour before your come to our office. Therefore, you will need someone to drive you to and from our office. As the medication begins to take effect, you will reach a high level of relaxation and may even begin to feel a bit drowsy. You will not feel any pain or discomfort. Do not be surprised if you doze off for a bit during your appointment. While you are sedated, your safety is important. We will closely monitor you throughout your treatment. After your appointment is complete, you can go home. It is best to have a friend or loved one stay with you for a few hours because it will take about 6 hours for the medication to wear off. As you wait for the effects of the sedation to dissipate, follow Dr. Donnelly’s aftercare instructions. Your comfort is a top priority. In addition to sedation, we go the extra mile to ensure you enjoy your time in our office. We also provide you with a thick, warm blanket during your appointment to help you relax even further. If you have been avoiding the dentist due to fear or a unique situation, it is time to stop putting your dental care on hold. 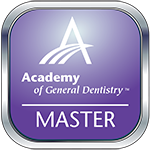 Overcome the challenges that are preventing you from visiting the dentist with Dr. Donnelly. 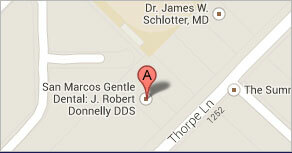 Contact San Marcos Gentle Dental today to schedule your consultation for sedation dentistry.